It seems the TFI (the company known as Transforce) is continuing the consolidation of the carriers they own. I was in the 401- Dixie district of Mississauga recently. I went past the large QuikX terminal but there wasn’t any QuikX trucks or trailers. I checked and they have been moved to the Interport terminal. The former QuikX terminal has been sublet to Canada Cartage. Highland Transport has their name added to the Shawson Drive yard with Rosdfast. The corporate sign on Interport shows TFI International. 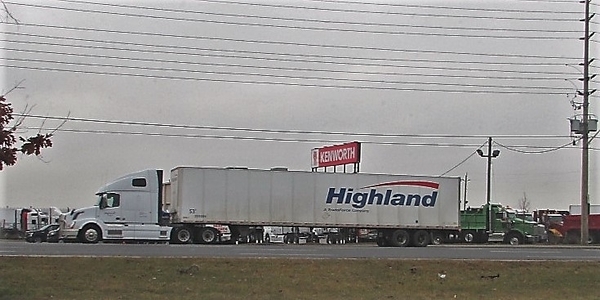 Highland Transport just leaving the Interport terminal. Lots of Transforce trailers against the fence at TST Overland. at the end - 3 more TST Overland. I saw but couldn't get Muskoka Delivery Service trailer in the Transforce swoosh - I don't even know if that carrier had any trailers before Transforce acquired it. One I posted to the main website of the former QuikX terminal now being used by Canada Cartage. Seen at the Tripar terminal in Oakville. 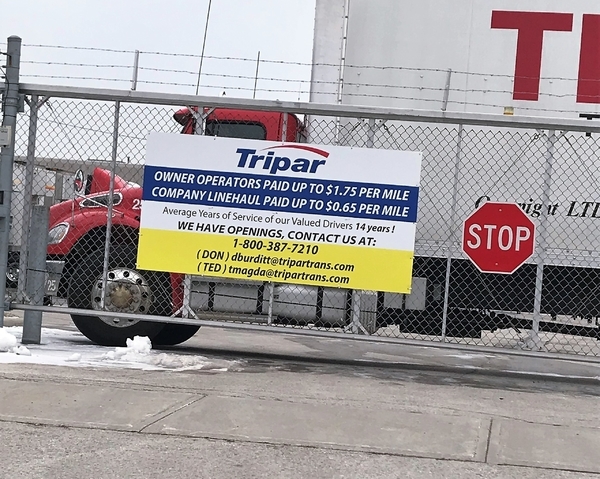 The Tripar trucks are still in red but on the gate is a sign that they are looking for drivers. The Tripar name is swooshed. 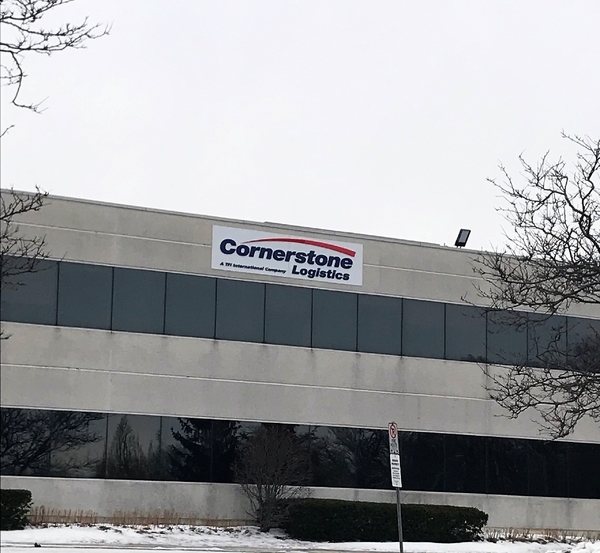 Then around the corner, still in the same building though, Cornerstone Logistics has hung their shingle.